5 Ways To Tell If You Need A Career Change, what a great article today. A friend of mine inspired me to write this, she has been struck with a life decision that can change her whole entire life, but you know what, there is nothing wrong with being scared, it makes you human. Happiness, it is a big factor in your wellness and in your health, and you must always put that first.We have all been through troubled times where we doubt, we question, we need better answers….Do you need a career change? Are you happy with what you are doing? Are you depleted and over it? I’m 36 and work in a mid-level corporate role. I know I don’t like my work (and haven’t liked it for more than 5 years or so), and things are not going great at the company, but it pays very well, has good benefits and there are some things that are OK about it (mostly that it pays a regular paycheck that feels “secure”). I was promoted recently too, but still I agonize daily whether I should change careers or just leave it alone and stick with it. How can you tell if you should change careers or not? Here are five ways to tell if you NEED something new. 1. You are chronically worn out, exhausted and depleted: if you get home and your body is broken down and cannot think of doing anything else, you have depleted yourself to the point of exhaustion. Your body tells you what your lips cannot. 2. Your skills, responsibilities, and tasks are not you at all: Do you care about what you are doing? Is it YOU? Do you have what you do, find it useless or worthless? Do you see yourself wanting to make a bigger difference? You may really be in the wrong field. 3. You’ve come to the point where your salary no longer makes up for the boredom and emptiness you feel: The money can make you *happy* for so long, but are you over it? Is material no longer satisfying you? Sometimes, making less money can make you much happier than making more, and you need to make that decision. Is the money keeping you stuck in your position? Hang on here – I have this money, but I hate how I spend my life making it. 4. Despite all the “right” choices you made in your career, the outcome feels very wrong: You have worked so hard to be where you are, but you HATE where you landed. Yes, that is so possible and you know, you need to be brave enough to acknowledge that. you need to know when what you believed was for you, is NOT YOU AT ALL, and that is totally fine. Life is not always what we seem it to be, and this is what life is all about, change, new, experience, learning. 5. You have the irrepressible feeling that your talents and abilities could/should be used in a totally different (more creative and impactful) way: If you are thinking, there is more to life than what you are doing, then there very much may be. Listen to your gut, don’t lie to yourself. There’s another way to live and work, even though you can’t see it yet. So, you have been given a quick glimpse of reality. Life, career, happiness, they all need to intertwine, you cannot be happy if you hate what you do 8 or more hours of your day. If you feel this article has given you an eye opener then maybe you needed one. Wake up, Make a Change. Life is too short to live it on a candle waiting to be burned out. You need fire, you need happiness, you need a good life, you only get it once. I hope you have found yourself a little more today. Have a great Sunday! This article hit home for me…. What creative people do…. and what they do to you…. Hmmm…. You gotta Love them but GOD you want to kill them!!!! I know two AMAZING and CREATIVE individuals and Yes! All true! but you Love them Hate them and Envy them All at the Same time! but GOD they strain a relationship. if you are not understanding … please take 2 minutes to read this article. Many have asked this too often, well make your own purpose and stop asking questions. 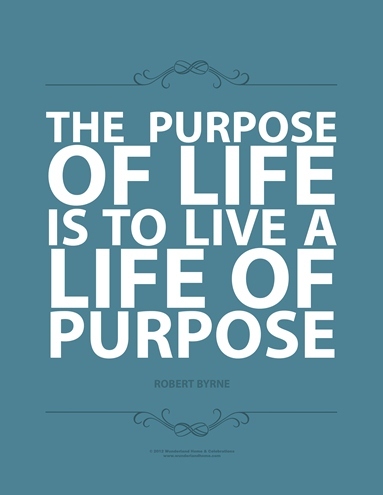 You make your own life purpose and you are in control of your own life. So, what will you do now? Read this article (or listen to it), and get inspired. Think hard when you finish the article. Many of us can not appreciate the beauties of life, whether because of problems that consume us, or emotions that control us. Here is a quick video about Pollination and its evolution. I just thought I would share this with all of you because its beauty was contagious to the point that I couldn’t stop smiling. I hope that it has the same effect on all of you, because one smile here and one smile there, life is so beautiful. Keep smiling, because life (in itself) is so mesmerizingly beautiful! 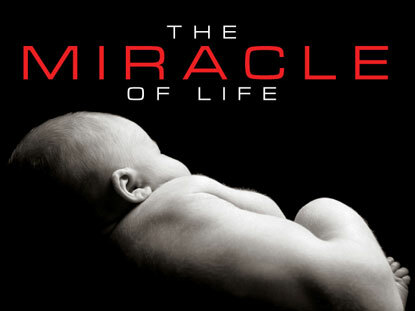 Life’s Greatest Miracles is a heartwarming video that moves the soul. Watching this video brought tears to my eyes. The beauties of life, the preciousness of life, this miracle is indescribable. As humans, we do not appreciate what happens to us, we cannot realize what blessing is happening within us when we procreate. This video demonstrates the beauty of a life, it expresses why we must believe in a higher power because nothing can come close to this miracle of life, procreation. Watching a simple sperm grown into a living being, its heartfelt. From beginning to end, this video, though long, keeps you on your feet, awaiting the end result. It is a lesson for all, we must understand what goes on in the fetus. If you believe in God, this will bring life to you, and if you don’t believe in God, this will open your eyes to what life is all about and how something so preciously small can become something so CHERISHABLE and TREASURED. Watch this video, or most of it, if you are in for fascination and being mesmerized.